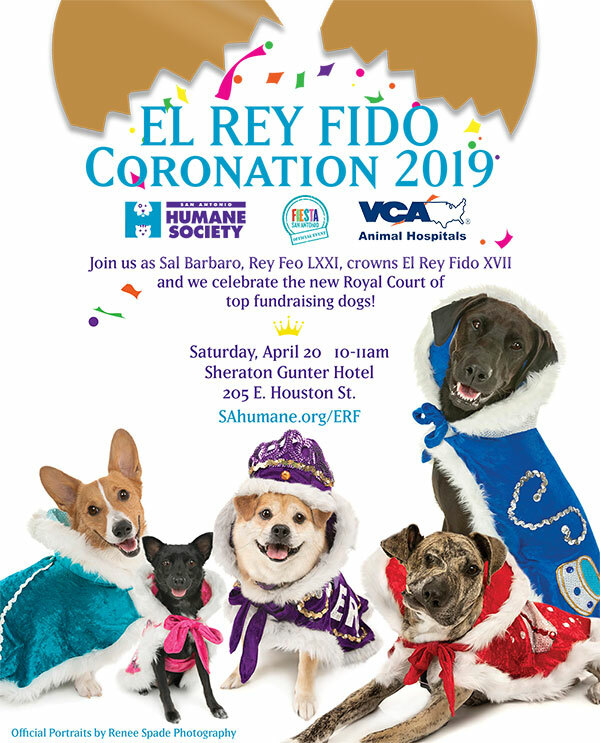 Join us Saturday, April 20 for the El Rey Fido Coronation at the Sheraton Gunter Hotel San Antonio as we celebrate the fantastic fundraising efforts of El Rey Fido XVII and the 2019 Royal Court! This official Fiesta® event is FREE and dog-friendly. Festively costumed pooches are encouraged! The coronation will include colorful folklórico dancers from the Danzavida De San Antonio Dance Company, Emcees Adam and Jenny from the morning show on MAGIC 105.3, and the highlight of the event: the presentation of El Rey Fido (the doggie king/queen) XVII and the 2019 Royal Court. 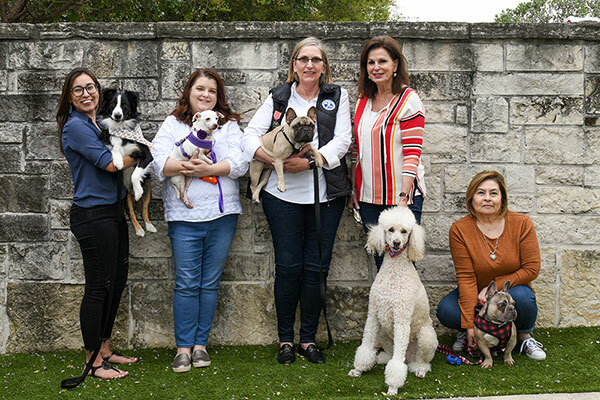 These crowned and robed top-fundraising dogs will walk the stage in honor of their dedication to the SAHS's mission to protect and improve the lives of dogs and cats. We hope you'll come out and celebrate with us during this fun and festive dog and family-friendly event! The 2019 El Rey Fido fundraising competition is officially over! We are happy to announce that the participants raised over $100,000 for the dogs and cats at the San Antonio Humane Society. Leading this group of successful fundraisers and new official Fiesta® Royalty: Happy Happy Hazel (El Rey Fido XVII), Sophie Batchelor (Princess of the Food Bowl), Bette Mid-grr (Duchess of the Chew Toy), Grayson Bleu (Duke of the Fire Hydrant), and Maximus Miller-Trynoski (Knight of the Royal Court). We are very thankful for all who supported everyone's fundraising efforts and we look forward to Fiesta 2019! The Place for animal loving kids to learn about pets! Click here for Camp Humane FAQ, and photos. All camp sessions run Monday-Friday from 9am-3pm and the cost is $250 per camper per session. Registration: Click here to register. Please only register your kids for their age group! Is your child interested in learning all they can about the animals who live at home and out in the wild? Let them spend a week this summer with the animals at Summer Camp Humane at the San Antonio Humane Society! It’s a great opportunity for your child to receive a unique learning experience about the humane treatment and care of domestic and wild animals. Attendees will participate in workshops, crafts, games, service projects, animal expert presentations, and hands-on animal experiences. Five weeks of camp will take place this Summer and registration is limited, so be sure to register your child soon to save a seat for this fun-filled educational experience. The Beginning Service Camp and Service Camp sessions will place a large focus on service and volunteer work throughout the shelter during the week. Participants of either Service Camp session will receive credit for 5 hours of volunteer work for each day of camp attended. San Antonio residents looking for low-cost options to keep their pets healthy now have a new resource in the Brooks Spay/Neuter Clinic! 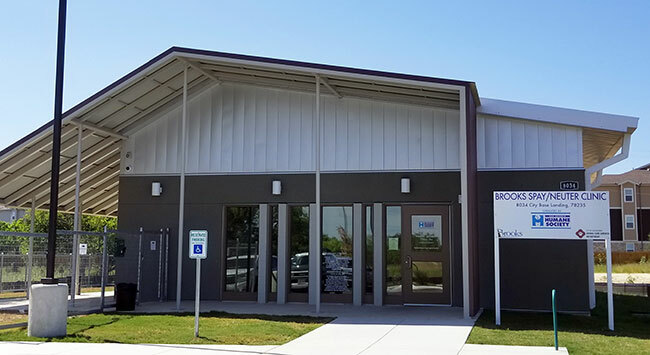 The new building is operated by the San Antonio Humane Society and owned by the city of San Antonio located on Brooks. The Brooks Spay/Neuter Clinic offers low-cost spay/neuter surgeries (by appointment) and Wellness Clinics (first-come, first-served basis). Preventative care services include vaccines, heartworm testing, microchipping and more! Questions? Looking for more info? We need you! Any help is appreciated! 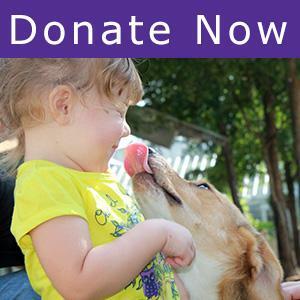 Fees vary for our Guardian Angel and Ambassador pets. This adoption fee includes: spay/neuter surgery, first set of vaccinations, microchip, de-wormer, flea and heartworm prevention, complimentary wellness exam (within 5 days of adoption) and complimentary follow up care (within 14 days of adoption) at any VCA animal hospital , and 30 days 24PetWatch Pet Insurance. For more information, see How to Adopt, or call 210-226-7461. This adoption fee includes: spay/neuter surgery, first set of vaccinations, microchip, fiv/felv test, de-wormer, flea prevention, complimentary wellness exam (within 5 days of adoption) and complimentary follow up care (within 14 days of adoption) at any VCA animal hospital , and 30 days 24PetWatch Pet Insurance. 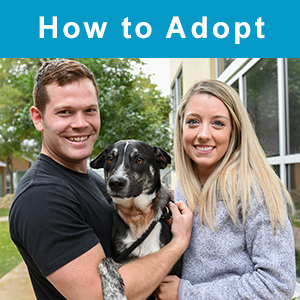 On this page you will find helpful information regarding what to expect when visiting our shelter and important resources for after you’ve adopted your new friend. When is your Adoption Center open? - Monday through Sunday, 12-7pm. - We stop taking applications at 6pm, so that we have time to meet with everyone before we close. - We are closed on some major holidays. Christmas Eve and New Years Eve we close at 4pm. A few times every year we close early for staff development, those will be posted on the front page. - You can reach us on 210-226-7461 between 12-7pm. What is the process for meeting and adopting a pet? All guests interested in meeting a pet must provide SAHS staff with a valid photo ID. Before applying to adopt, we ask all visitors to first socialize with the pet for at least 20 minutes to help ensure compatibility. Under special circumstances you may be required to spend longer than 20 minutes with a pet. When you’re ready to move forward with the adoption process, kennel staff will direct you to the front lobby where you will complete an application and sit with an adoption counselor for review. Depending on the number of applications pending, the wait to meet with an adoption counselor can range between 30 minutes to 2 hours. Depending on wait time, we are currently utilizing text message alerts for visitors who wish to leave our campus while they wait. 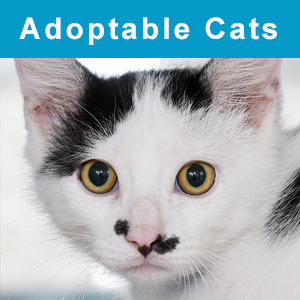 This adoption fee includes: spay/neuter surgery, first set of vaccinations, microchip, fiv/felv test (cats only), de-wormer, flea prevention, heartworm prevention (dogs only), complimentary wellness exam (within 5 days of adoption) and complimentary follow up care (within 14 days of adoption) at any VCA animal hospital, and 30 days 24PetWatch Pet Insurance. 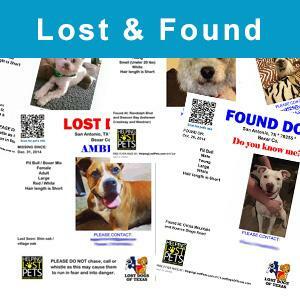 For more information, visit the San Antonio Humane Society at 4804 Fredericksburg Rd. or call 210-226-7461. *Ask about our Ambassador Pets and pets with Guardian Angels (fees vary)! If I find a pet I want to adopt, can I take him/her home today? 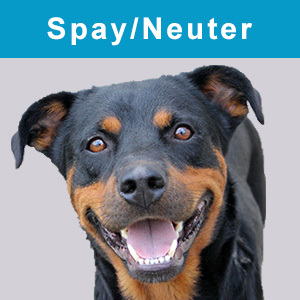 If the pet has already been spayed/neutered, you can take him/her home the day you adopt. If the pet has not yet been spayed/neutered, your pet will remain at the shelter until we can complete the surgery. Surgeries are performed throughout the week and will be determined at the time of adoption. Does my new pet have to be spayed/neutered? As stated in the Texas Health and Safety Code, Animal Sterilization Act, Section 828, sterilization of an animal is required when adopting from a shelter. All animals adopted from the San Antonio Humane Society will be spayed/neutered before going home with their new owner. Depending on the number of people adopting, the adoption process can take anywhere from 30 minutes to 2 hours. Adoption applications are processed on a first-come, firstserved basis. Upon arrival to the SAHS, all pets are examined by our Animal Health Technicians. The pet’s health is routinely monitored while in our care, but there is always a chance a pet is incubating a disease or infection. As they are living creatures, we cannot guarantee their health. We do require you visit with a VCA Animal Hospital or your own veterinarian for a physical exam for you new pet within 5 days of the adoption. If you adopt a pet and he/she becomes ill, your 1 month of free pet insurance and VCA coverage will help cover the cost of most common shelter illnesses*. *Some out-of-pocket expenses may be required should the pet become ill after adoption. 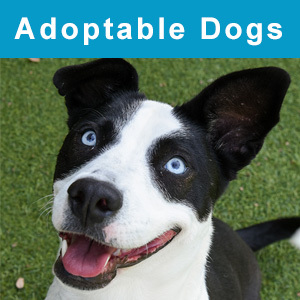 The San Antonio Humane Society is a no kill shelter that does not euthanize for space. 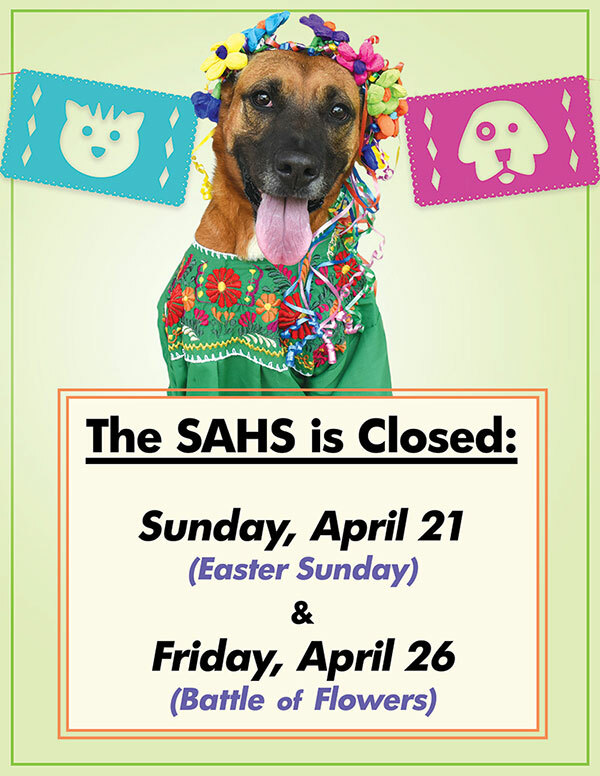 As a result, any dog or cat can reside at the SAHS until they are adopted. Ambassador pets have a raised adoption fee that helps lend a paw to other pets looking for a forever home. What makes an Ambassador pet? An Ambassador pet can include any highly adoptable dog or cat of any age or breed. Read some of our Success Stories! For more information, please call 210-226-7461. Find out more about VCA Animal Hospitals and their location! Find out more about our 24PetWatch pet health insurance!